This is not in my possession. Stamped ALVA to the front. Stamped Clayton & Cos Patent to the rear. I do not believe Clayton & Cos is the tile manufacturer. 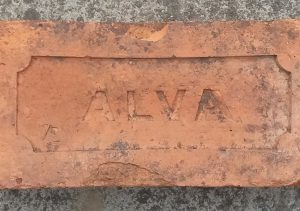 I believe this is the name of the company that made the tile / brick making machine – Henry Clayton, Son and Howlett of Atlas Works, Harrow Road, London. 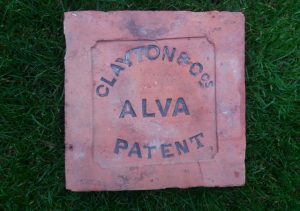 There are many examples of brick stamped Clayton & co on one side and the brick manufacturer on the other. 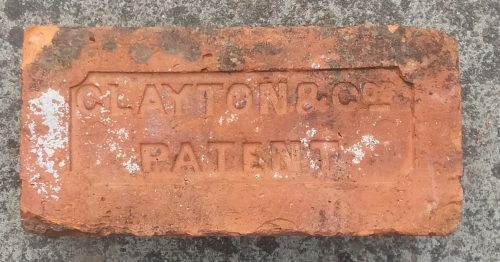 I believe this was a marketing ploy either by Henry Clayton themselves to promote their machines or by the brickmakers who were keen to let the world know that their bricks were made on a Clayton machine and thus perhaps of a better quality to other bricks. 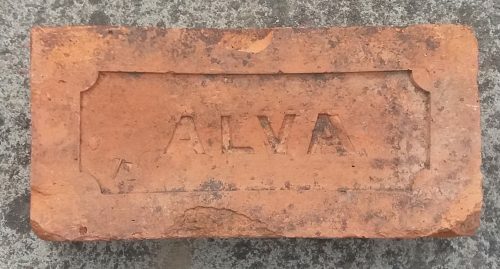 This brick was very likely manufactured at the Alva brick and tile works but by which individual?